AusCider 2019 is the cider industry’s annual information exchange and networking event. It connects cider producers, fruit growers, researchers, suppliers and other industry representatives from Australia and overseas. AusCider 2019 will be held in Hobart, Tasmania from 2-5 June. The program features welcome drinks on Sunday evening, a one and a half day conference at the C3 Convention Centre in South Hobart, the AusCider dinner on Monday night along with site visits and events in other regions of Tasmania. - Keynote – Jane Peyton (UK), Drinks educator, Pommelier and founder of the School of Booze drinks consultancy. Tickets to the AusCider conference, dinner and Tuesday afternoon tour are sold separately. Members of Cider Australia receive discounted tickets. Entry to the welcome drinks is free for conference ticket holders, but please register for a ticket as capacity is limited. 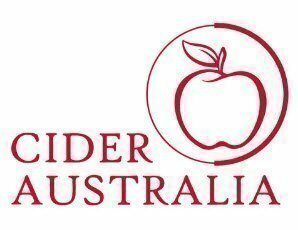 For information on membership visit the Cider Australia website. AusCider 2019 is being held in conjunction with the annual conference of Fruit Growers Tasmania. Ticket holders are eligible to purchase entry to the Fruit Growers Tasmania conference at the member discount rate – please contact office@cideraustralia.org.au for more information. Cider Australia acknowledges the support of its sponsors and partners including the Batlow CiderFest which founded and ran the national cider conference in Batlow, NSW for the past 7 years. • Tour from 12pm - 5.30pm. Coach transport pick up and drop off is from C3 Convetion Centre. • Site visits near Launceston (TBC) - Please register your interest at the checkout when purchasing conference tickets.